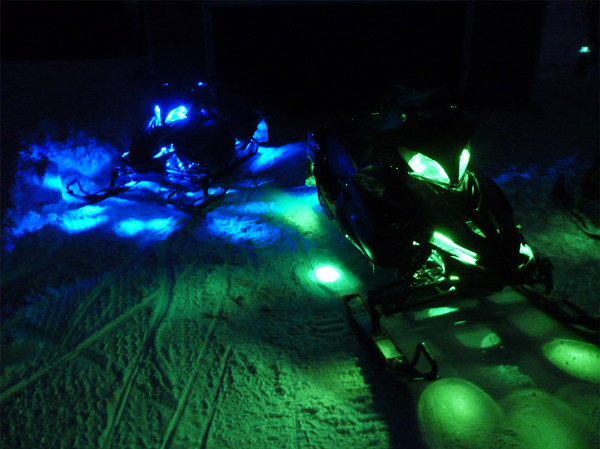 Customer snowmobile with our LED modules and bars - Thanks Dave B. 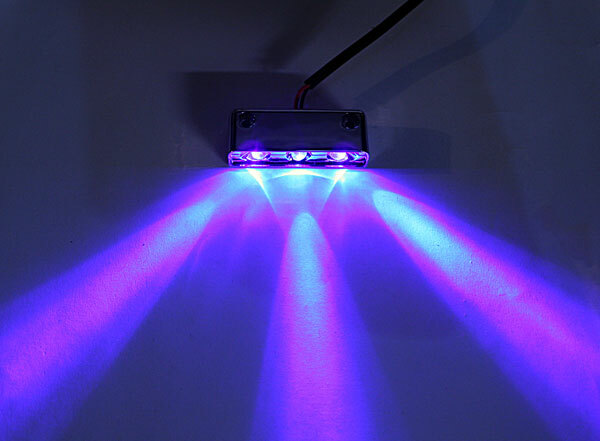 This small accent light module sends out 3 beams of light that create an exciting field of illumination perfect for anything from motorcycle lighting and courtesy lighting to step lighting and shelf lighting. The light module has 3 LEDs—2 facing outward at 45° angles on both ends and 1 facing forward. All LEDs emit 15° beam angles. 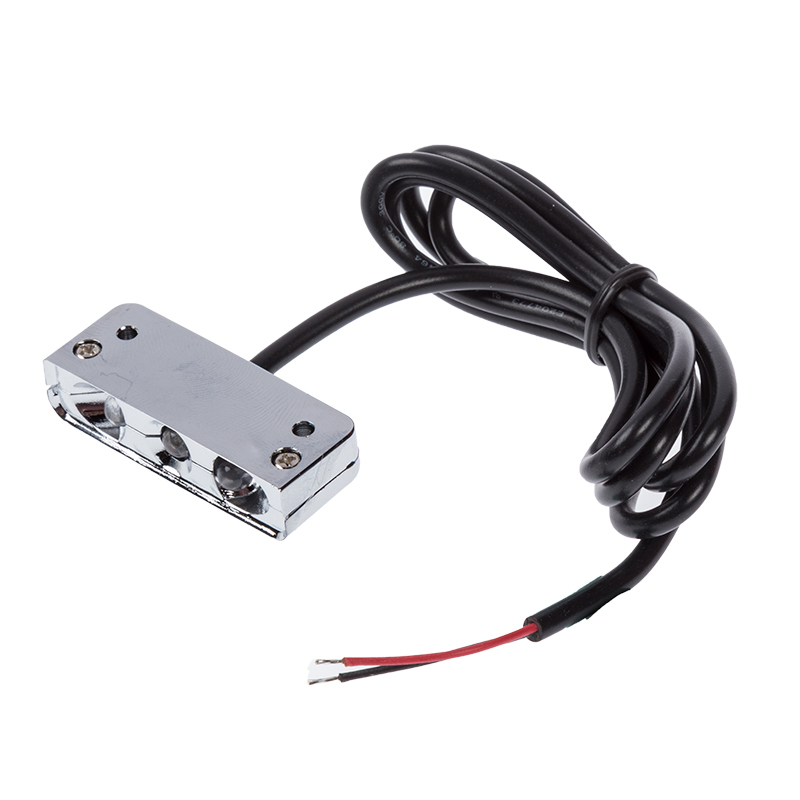 A weatherproof, rectangular chrome plated housing protects internal components and has (2) 3/32" mounting holes for easy installation. 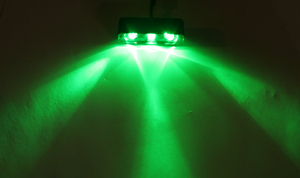 The energy-efficient LED light consumes just 0.2 watts of power and operates within a 9-14.8V DC range. This LUXART® LED accent light is available in cool white, UV (blacklight), blue, green, and red. I'm putting these lights under the gunnel in my boat to illuminate the deck. I'm impressed with the brightness and the coverage area. Strong bright light at a great price. Great little light for interior illumination .